A Yatra or Pilgrimage offers the spiritual aspirant an opportunity to explore the ashrams, temples, and caves held sacred by the ancients. The texts and traditions of Yoga and Tantra remind us that the journey of self exploration is ultimately within. External events can be a trigger for our inner search and are a reflection of both its depth and direction. The energy vortex of sacred spaces is rightly venerated by saints and mystics. They remind us that on a pilgrimage, one makes a spiritual affirmation and proceeds with full faith in the guiding wisdom of the oft unseen but ever present divine hand. The two great Pilgrimage destinations can be a powerful means of creating inner growth. Each is an experience of a life time. For more on this read “Pilgrimage to Mt. Kailash and Lake Manasarovar Shakti Peeth” and “Amarnath Ice Shiva Lingam and Mahamaya Devi Shakti Peeth” at this Yogini Ashram website. 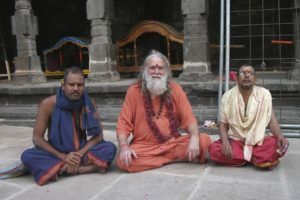 Once every 12 years, yogis, swamis, tantric, holy men and women, and spiritual aspirants from all traditions throughout the Himalayas, India and the world, converge for the celebrated spiritual fair for which there is no peer. (Kumbha Mela). What a fabulous time to experience the mystical taste of many paths and become saturated with divine vibrations. 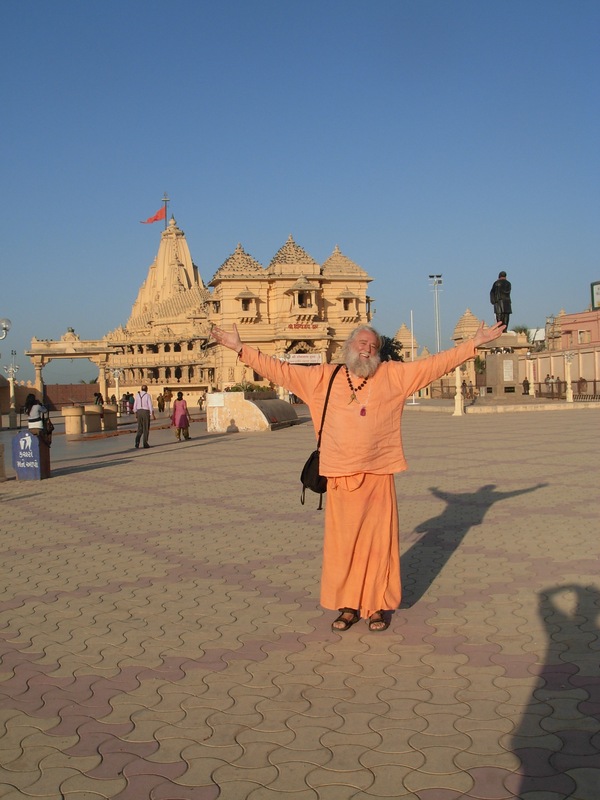 Arriving, on Pilgrimage at the Somnath Jotir Lingam Temple off-season gives the Yogi an opportunity to avoid massive crowds. The temple is one of the most magnificent in India. The foundation of a long destroyed Shakti Peeth stands behind it. From ancient times, there are 12 great Shiva temples, renown above all others, where Shiva has manifested without external actions from humanity, Thus, they are referred to as “Self manifested” (Swayambhu). These well known temples are listed below and each is magical in a unique way. I have had the grace to worship Shiva in all of these temples, and hope to write about my experiences soon, even though there are simply no words to describe them. Shivas power is so tangible in each of them. Mallikarjuna at Srisailam in Andhra Pradesh. Mahakaleswar at Ujjain in Madhya Pradesh. Bhimashankar at Pune in Maharashtra. Vishwanath Temple at Varanasi in Uttar Pradesh. Tryambakeshwar at Nashik in Maharashtra. In ancient times, the union of Shiva and Sati was celebrated by the forces of light. Sati had aspired to marry Shiva but her father, Daksha, the king of Devaloka, forbade it. When Sati married Shiva against his will he was furious. Thus, when Daksha organized a great fire ceremony (yajna), he deliberately did not invite Shiva. Sati was distraught, and Shiva advised her not to go, but out of attachment, she did. When Sati arrived at the Yajna, Daksha, her father, ignored her, mocking and ridiculing Shiva in front of the guests. Overcome with shame, both for herself and Shiva, she jumped into the flames and perished. 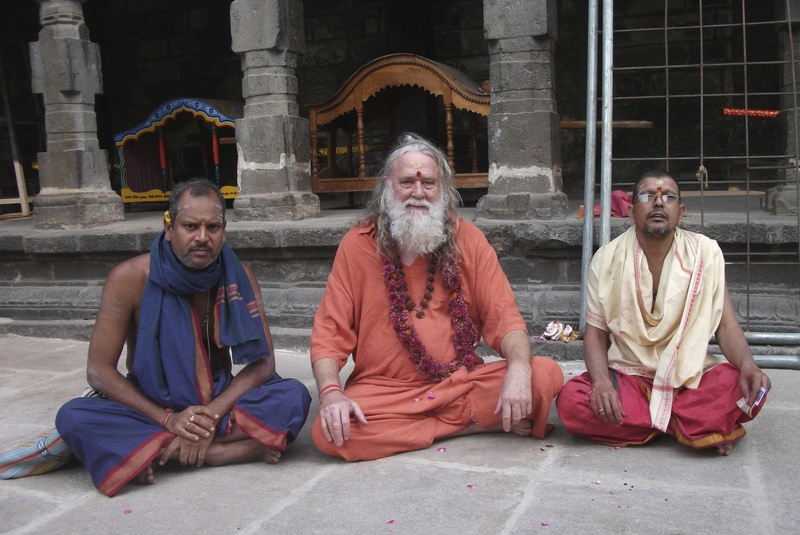 When Yogi Shiva heard about it, he became emotionally turbulent. In his monumental grief, he lifted her half-burned body in his arms and began wandering aimlessly through the sky. Shiva’s grief was profound, and since he was so fully integrated with the cosmic web, a disturbance within all matter occurred. The Divine Beings consulted and a plan to bring piece was developed. Following the principle of “out of sight – out of mind”, Vishnu followed Shiva and, with his magic discus, gradually dismembered Sati’s body. At the locations where her body parts fell, Shakti temples sprang up to become fifty-two in number, each with a unique and powerful energy, and a pilgrimage destination, par excellence. There are many other power sites for Yogis and Tantrics, particularily the eight power centers (ashta-peetam) where Babaji and Mataji have manifested in the physical plane. The energy is amazing, and devotees of Babaji and Mataji are richly rewarded for making the journey. There are also the 18 siddha shrines, where the celebrated yoga siddhas attained their celestial states of Samadhi, the 108 Vishnu Temples, and the 5 element Shiva Temples, You can read about these five transformative temples in the attached article, “Pilgrimage to the Five Element Shiva Temples”. All of these are all fabulous destination choices. Use your lifetime well. Make it a pilgrimage by sanctifying all journeys. May they inspire devotees to grow inside and out.